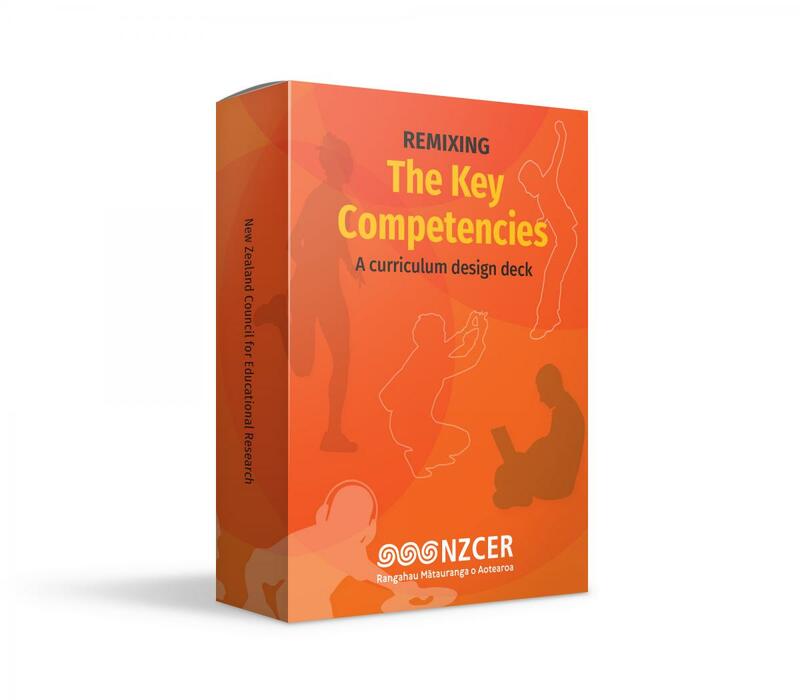 A resource for teachers to take a fresh look at possibilities for building integrated units of learning and assessment. These cards are one of four sets available—see the panel on the left for the other three. 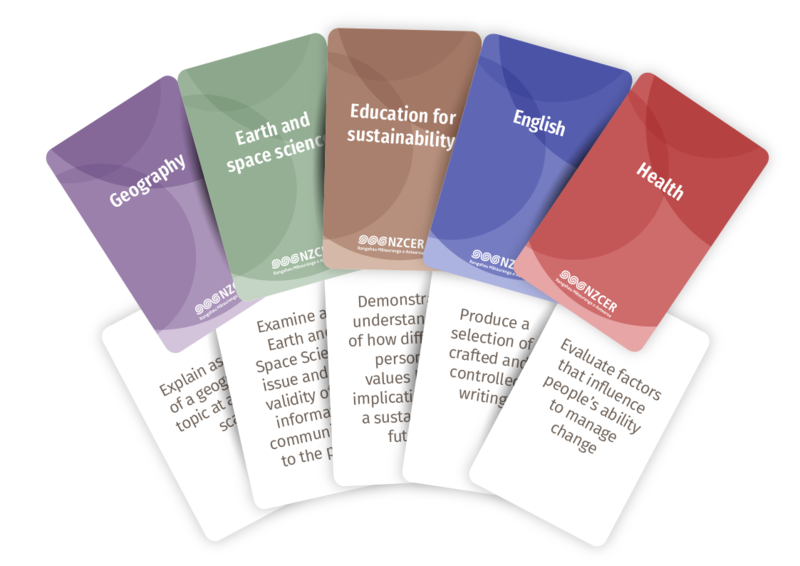 The resource consists of a set of sortable cards – much like playing cards but with a playful curriculum thinking purpose. Use the cards to think about ways in which rich inquiry tasks can link learning across subjects. Use this thinking to design integrated assessment tasks that could help lighten the NCEA workload for students. Each card in the set has the title of one level 2 NCEA achievement standard on the white side. The curriculum subject to which that standard belongs is named on the reverse (coloured) side. When concepts and capabilities are woven together within an interesting and challenging inquiry topic, the overall learning experience is more meaningful for students. 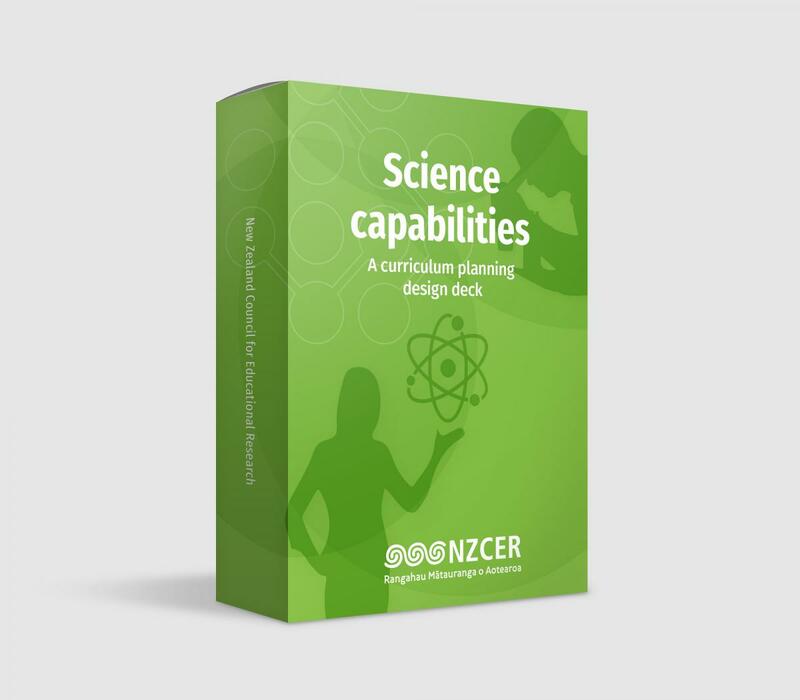 Teachers use the cards to think about ways in which rich learning tasks can provide opportunities for students to build and strengthen a range of interrelated knowledge, skills and capabilities. The cards seem to generate the weaving insight in a flash – as long as it takes to play with them!